With the high price of meat lately I have been trying to find alternatives to the traditional meals that my family is use to. So once or twice a week I’ve been creating meatless meals and so far they have been met with smiles and “oh yums!” Serving up meatless meals is one great way to cut back on your food budget. Simply by adding a little cheese, eggs or rice and beans to your meals you will have a complete protein and you’ll feel confident that your family is getting the nutrition they need. I must admit that I have been surprised at the openness my family has had since I have quite the picky eaters…hmm maybe they are finally growing up! Yes my husband too! LOL Actually he’s usually pretty supportive, but he does love his meat. 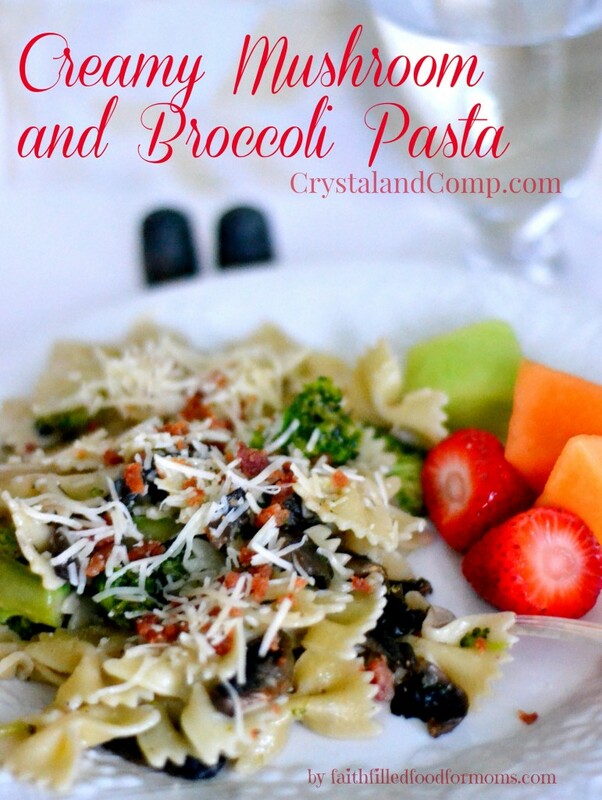 I was super happy when I served these delicious easy recipes and everyone said deelish! Here is one I served up the other day.. Begin cooking Pasta. 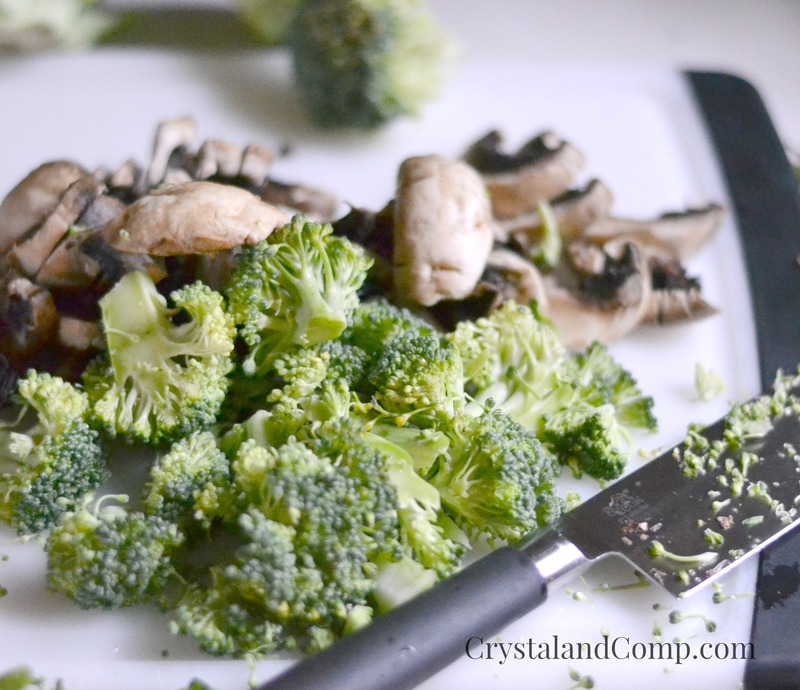 Chop Mushrooms, Broccoli and Onion (if using). 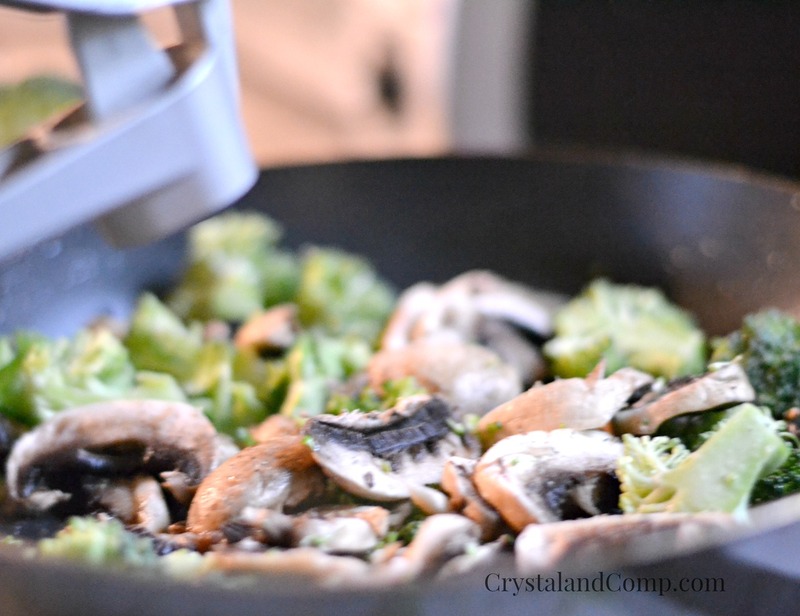 Heat Olive Oil in a large skillet and stir fry Mushrooms, Broccoli and Onion. Add Garlic. Add salt and pepper to taste. Stir Fry until Mushrooms are golden brown. Add Chicken Broth and Thyme and cook till broth evaporates. This will only take a couple minutes. Now add Cooked Bow Tie Pasta, Half and Half and Parmesan Cheese. Stir! That is it! This meal took me about 20 min. to make. I also sprinkled some Bacon Pieces over the top when I was done because I wanted to use them up. Enjoy with a nice piece of Homemade French Bread! That is it! This meal took me about 20 min. to make. Hi, the meal looks delisho! But what is half & half? Haven’t heard of it in Australia by that name. Sorry to be a pain. David- half and half is half milk and half cream. It is very common to add to coffee and baking here in the states. This looks delicious! My family eats meat, but we actually don’t each it at most of our meals because as you mentioned meat is rather expensive, so I’m always on the hunt for easy & delicious vegetarian meals. Thanks for sharing, stopping by from #MomTimeThurs. 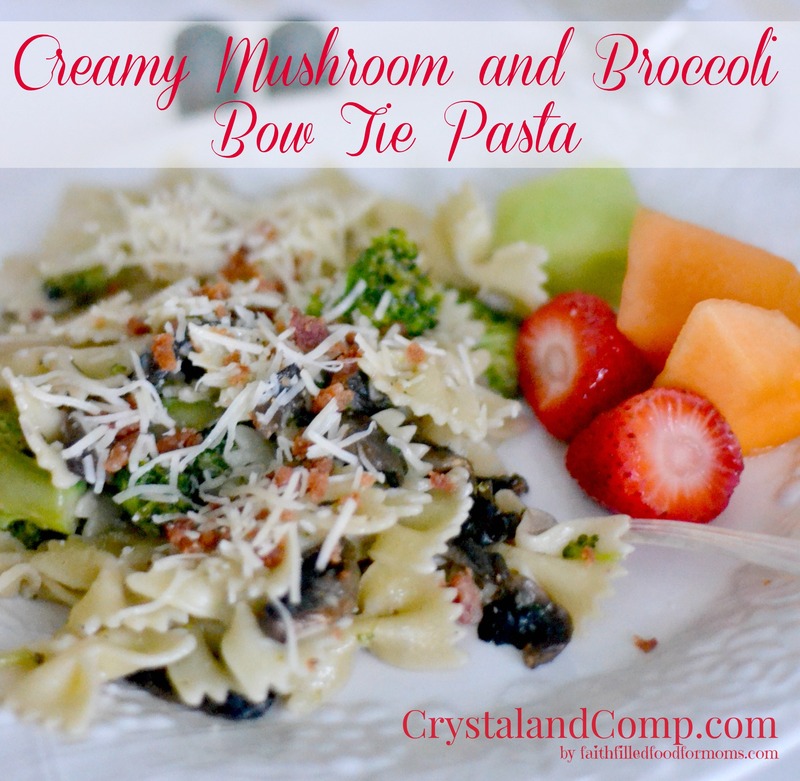 This is a great Pasta dish that has a fabulous flavor. I will be pinning it to my Pasta Board. Thanks so much for sharing with Full Plate Thursday and hope you are staying warm in all this cold weather.